Designer Issey Miyake launched his new perfume “PLEATS PLEASE” today! Luckily today I was able to get my hands on a sample from Nordstroms!! If you visit your local Nordstroms, or shop online, you’ll be able to buy the Issey Miyake “Pleats Please” in both Eau de Toilette (available in 1.6 oz. & 3.3 oz bottle sizes) and Body Lotion. Here’s the Pleats Please commercial you’ve probably seen! The new season begins Jan.10th (Thurs.) at Issey Miyake store in Japan. It’s said that the new perfume will go on sale on January 30 in Japan. On the day in question, an event celebrating the release of the new perfume and the 20th anniversary of the brand will be held at Tokyo Midtown. Alongside the perfume, you can expect to look forward to an entire new collection by Issey Miyake as well! His S/S 2013 “Carnival” Collection. Vibrant costumes, pumping music, multicolored flowers wafting their delicious scents. It is time for the Carnival, to celebrate spring with its plentiful bounties and the hope of rebirth! In this collection we celebrate our 20th anniversary and to give thanks to all. A collection inspired by the festivals of many nations and as always, the spirit of PLEATS PLEASE is expressed with simplicity. Want to take a look at the Pleats Please A/W 2013 catalog?? A little bit of PLEATS history? Pleats’ was introduced into ISSEY MIYAKE in 1989, and has been developed every season thereafter. By 1993, it was ready to be launched as a complete and stand-alone brand and appeared as PLEATS PLEASE ISSEY MIYAKE for the Spring-Summer collection. This is a line that is positioned to embody one of the most fundamental concepts of Issey Miyake – where the true value of design lies in its integration into the everyday life and comfort of the wearer. This is clearly demonstrated in the development and evolution of traditional techniques of processing and of pleating material into a highly functional modern product – light in weight and easy to wear and handle. This revolutionary concept has won the respect and admiration of women throughout the world and contributed to the growth of an iconic brand – an ingenious fusion of creation, technology and business. Discover Pleats Please by Issey Miyake, an invitation to have fun. Ready to buy from Nordstroms today? Click the picture above which links you right to the page!! Disclaimer: I am not sponsored nor affiliated with Issey Miyake or Nordstroms. 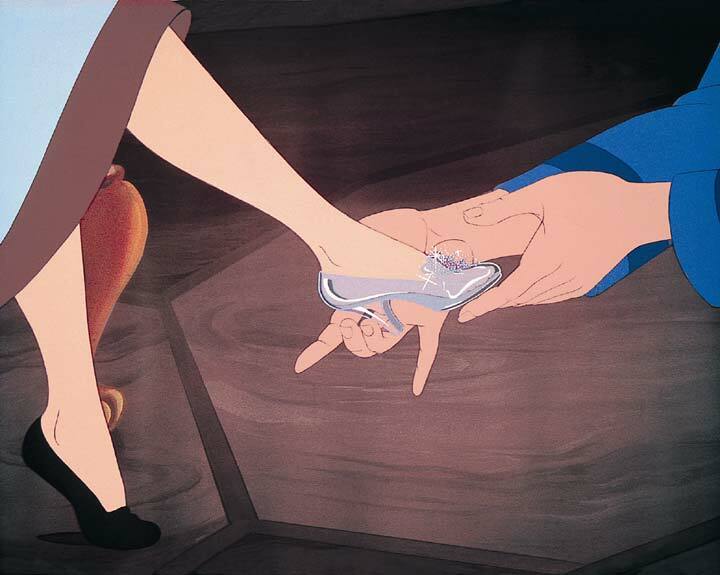 Christian Louboutin finally reveals his Cinderella-inspired heel! The much anticipated since announced in April, top-secret project, was finally revealed through many first look photographs on the brands Facebook page. The heels were publicly revealed in France at Palais Brongniart. The Cinderlla-inspired heels are featuring a crystal-covered design with butterfly accents. And Loub lovers are quick to show their approval: Within four hours of the post going up, over 18,000 people liked it, 2,000 shared it, and 600 commented. These definitely spark a discussion! Tomorrow will be the anniversary of when The United States won its freedom! Happy Fourth of July citizens of this free country! :) My nails are happy and ready to celebrate!! Are yours? Recreate my Indepence Day Nails! My Independence Nails!! Happy almost 4th of July!! I used two coats of OPI – Fit For A Queensland (it’s a pearly white w/ a very very sheet iridescent pink)…. But any white will do. Apply 2 coats to entire nail. Then one coat all over nail of China Glaze – Luxe and Lush (fthe their Hunger Games Nail Collection) this will imitate sparkles and sparks from fireworks. Next, don’t forget the bright stars of the striped spangled banner! This will go on top of the red portion. Have a Happy 4th of July! Stay safe! Today is the first edition of the #FashionFriday series here at RUNWAYORTHEHIGHWAY!! Not to get all scientific on you, dear readers, but today’s Trend Report reminds us a lot of Sir Isaac Newton’s third law of motion, specifically that every action has an equal and opposite reaction. With so many bright prints and neon hues illuminating our ensembles this season, outfits consisting of varying shades of white have become a welcome palette cleanser as of late. Ushering in a completely different and new way of brightening up our wardrobes this summer, white-on-white layers put a fresh spin on monochromatic dressing, and as demonstrated by discernable tastemakers like Ashley Olsen and Jessica Alba, the results are very chic indeed!